Yes, yes ya’ll! 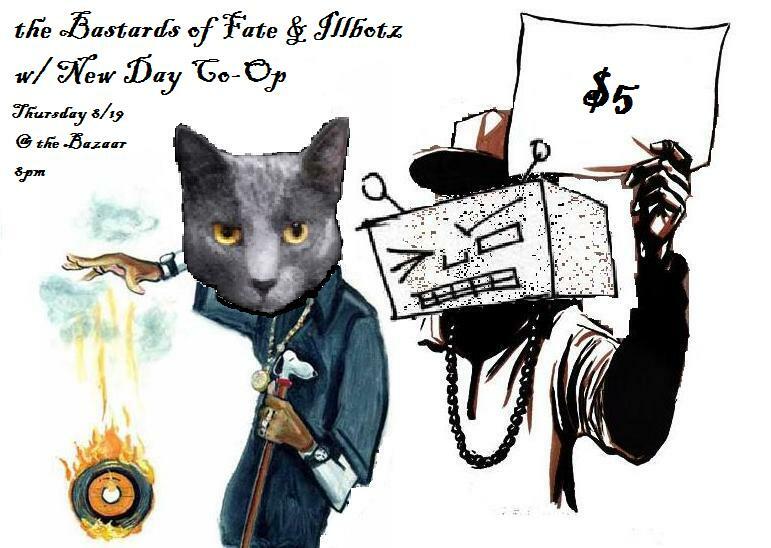 This Thursday at the Bazaar the Illbotz and the Bastards of Fate welcome Blacksburg rap group New Day Co-Op to Roanoke! Show starts at 8pm and will cost you only $5 for three acts! Be sure to get there early to check out New Day Co-Op’s set. If you can’t wait til Thursday check out some songs on their myspace here.